"staff are rude without exception"
✅ Trip Verified | For goodness sake if you are going to be at this airport longer than an hour please take food with you. The food on offer takes me back to the 1970s. Really substandard and over priced. The staff are rude without exception, we tried four different places to get a burger, we were treated with dismissive indifference. We ended up at burger king, we would never eat burger king at home probably because we have a much better selection of food in UK airports. I am not complaining about the price but more the lack of decent food on offer and the staff. We are now completely resigned to the fact that in future we have to book the airport lounge if we want to be treated civilly. The security procedure was perfect, it's just the food and service offering. ✅ Trip Verified | Our first experience of the "new" Alicante airport was relatively stress-free. As my wife and I were being transferred to our resort and back we didn't have to worry about finding our way out or in, accessing car parks etc. It was fairly easy to find our way around inside the terminal building as there seemed to be no shortage of signage. The place seemed open and airy (but this was low season) and we weren't surprised at the distances we had to walk, having been regular users of both Palma and Malaga airports. Passage through security was fairly swift and painless, though when my wife was asked to open her bag the request was rather peremptory. Yet, in contrast, we were impressed by the kindness shown by one of the special assistance staff delivering a wheelchair passenger close to where we were sitting. I also managed to access the airport wifi quite easily which is almost a first for me. The one really negative comment we would have to make about Alicante airport is that the acoustics are appalling, at least in the area of the B gates. The normal hubbub of conversation is amplified and the public announcements are impossible to understand because of the substantial echo. I could not even tell if we had the usual spiel about boarding our flight when we were at the gate:several announcements were made while we were queueing, but it was impossible to tell as to which flights the announcements applied. I just about discerned "speedy boarding" at one point, but I never picked out "Liverpool" at any time. I would have thought that someone designing a public building like an airport would have considered the importance of correct acoustics. Not Verified | This must be one of the best airports, on departure check in took under 10 minutes and security was quick, staff were helpful and very pleasant. The toilets were beautifully clear and could not be faulted. All the coffee shops were spot on and again could not be faulted. In all the years of travelling, this is one of the nicest airports ever that I have experienced. Well done to all the staff. Thank you. ✅ Trip Verified | After having a fall and fracturing my ankle while on holiday I was worried what to do when I got to the airport. I couldn’t walk we had 2 suitcases and I needed a wheelchair, I can’t praise the staff at Alicante airport enough especially the special assistance staff, they work really hard to make sure passengers are taken to the right place and are made comfortable, this is the first time I’ve ever had to use this service and would like to let everyone who might have to use it in future you are in good hands, thank you very much. Not Verified | First the pros: large spacious airport very clean, toilets clean and queues moved quickly. Cons: 1. The Burger King outlet is ridiculously inefficient. Stood in a queue with 8 people ahead of us and it took 25 minutes to reach the counter and be served. The management really need to look at increased staffing or something because this is too long to be queuing for “fast food” especially at an airport where time in precious. If service can’t be improved perhaps another franchise like McDonalds could take over. 2. Our plane was leaving from B25. However the signs only direct you to gates up to B21. The staff shrugged and said yeah signs are wrong just keep walking in direction of B21 and you will see B25. Surely with the number of customers the airport has sufficient funds to update the signage. We were not the only ones feeling lost and confused yet this would be an easy problem for the airport to fix. Not Verified | The airport staff are rude and angry. No additional consideration for infant's passing through security, not that it's the easiest thing for an adult at the best of times. 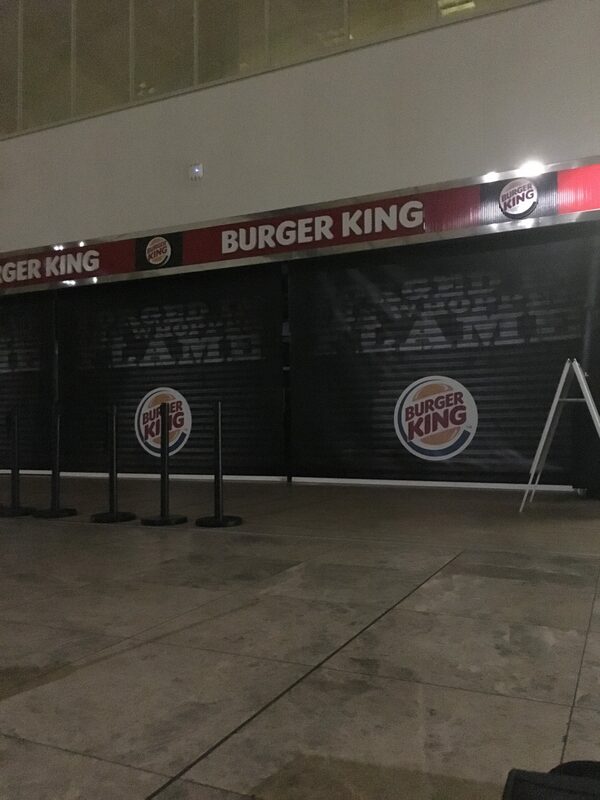 Food prices are passed extortion €13 for a Burger King burger! Really. €15 for 3 bottles of water, yes it normally expensive but dam as they still get you to throw away all fluids at security, it should be a minimum requirement to maintain a sensible prices for replacing it!! At 07:30: 4 of the mens toilets didn't have toilet roll in them, I now appreciate the queuing women go through for a toilet. All the Jet2 desks for assistance closed as soon as the flight was delayed. Little shocked especially as we were told to go there for information, obviously nothing to give so best to slam the shutter quick! Thanks. It's far from the best experience I've ever had or that with my family, I would consider using another airport and spend the time traveling to my destination by car! Other than that happy to be out of the place and hope to never return. 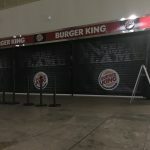 "No professionalism and disappointing food"
Not Verified | I have a complaint to make about the Burger King inside the terminal, we visited on the 29th June at 20:00. The food took over 20 minites and was cold by the time we got it. Customer service was atrocious although I don’t blame the staff, I witnessed the manager being very rude to the rest of the employees, clapping in their faces, shoutimg at them, I don’t blame them for looking miserable. No professionalism and disappointing food. "fast and efficient and very helpful"
Not Verified | Recently travelled with a broken ankle. The special help team at the airport were fast and efficient and very helpful from my arrival getting me off the plane and to my awaiting car; to helping when I arrived back at the airport and getting me on the plane. Security was polite and professonal whilst still being vigilant. Overall a pleasant experiance for me even with my injury. ✅ Trip Verified | Quite a clean airport with only one spillage spotted. Toilets were clean and check in staff helpful. However, why is that male and female passengers cannot buy personal hygiene products? No pharmacy anywhere to be seen. Would it be possible to install vending machines in the toilets so that this problem can be sorted? "We were spoken to like dirt"
❎ Not Verified | We came through customs yesterday, the two ladies we saw had a shocking attitude. We were spoken to like dirt on the floor. I am a big believer in custom control and do understand in depth. My husband who is in his late 60s came through the scanner and the lady then shouted to the other on the scanning belt. She then started shouting at my husband saying bag. I then told her he never had a bag. She was so rude she then went on to drug test him. The very sad thing is my husband has a spinal cord stimulator in his back and carries a card. He showed her the card thinking that was the problem but she was not interested. Sad to say that it could have been anything, its not the smallest piece of metal. Think they need to change their approach instead of treating everyone as a criminal.